Browse content similar to Episode 42. Check below for episodes and series from the same categories and more! obscure answers. Let meet today's players. Hello, Xander, I'm Ed. This is my son Andrew. I'm from Thornbury on Merseyside and Andrew is from Beckenham. This is my son Allistair and we're from Edinburgh. Hi, I'm Ghausia, this is my sister Sidra and we are from London. And finally, couple number four. Hi, I'm Norma, this is my daughter Anna and we're from Abingdon. And these are today's contestants. so that just leaves one more person for me to introduce. Has brains, will travel - it's my Pointless friend, it's Richard. -It's like a family special today. us again, went through to Round Two last time - sisters. And everybody else is parent and child. the couple in Pointless history whose names are most like ours. It's the closest we've ever had to a Richard and Alexander. A lot of people think I am called Allistair. They do, don't they? I did, for the first 700 episodes. -But I've got it now. 4 and 2 with their answers in the jackpot round. Everyone trying to hide their absolute delight. -"Oh, no, that's a shame." starts off at £3,000. There we are. Right, if everyone's ready, let's play Pointless. round will be eliminated, so keep your scores nice and low. Very, very best of luck to all four pairs. who's going to go second? And whoever's going first, please step up to the podium. we need you to tell us the name of the country, please. -order, the countries will be. mean a flappy thing at the top of a pole. Very much white stripes flags there. -Now, Ed, welcome to Pointless. Great to have you here. -And what do you do, Ed? -I'm retired now, I was a police officer. 30. I did my 30 years before the mast. I'm going to say Ed was good cop. I imagine he could act bad cop if he needed to. -Yeah, to get results. Absolutely. Ed, what do you spend your retirement doing? What do you like getting up to? Singing with my Gilbert and Sullivan society is my big hobby now. -Do you have a favourite opera? The Mikado. Got to be The Mikado. And you've been in that several times, possibly. -Well, no, only the once. Now, Ed, what about these flags? -Is this a good round for you? The top row second, I believe is Botswana. Let's see how many of our 100 people said Botswana. Down to 2, Ed, what a start to the show. Very well done indeed. 2 for Botswana. That's a terrific start, very well played. and the black and white is for racial harmony and peace. -It's a lovely colour, isn't it? It would look nice in the kitchen. Wouldn't that be nice in the kitchen? I might launch a series of flag kitchens. you'd be interested in the Botswana. "Yes, come and have a look at the Botswana." Yeah. Very nice. Now then, let's move on. Let's move on. Before we get carried away. Thank you very much indeed. Allistair, welcome. -Very good to have you here from Edinburgh. What do you do, Allistair? -I'm assistant venue manager for a live music venue. It's in the city centre of Edinburgh. Very good indeed. So how many nights a week do you have live music on? but we do open seven days a week. -Right, and how long have you worked there? Now, Allistair, what are your interests? -I imagine music must be important. but predominantly football is my main sort of... Close to my heart. just segueing very professionally into the rubric of the show. Allistair, what would you like to go for on our lovely flags? I would like to say Estonia. Estonia, says Allistair. Let's see if that's right. Let's see how many of our 100 people said Estonia. 2 is our only score so far. Look at that - 13. Very well done indeed, Allistair. Yes, there is Estonia on the top right. -Yes. Bathroom, I would say. -Kind of nautical theme to that. Yes, a nice Marmoleum floor. -That would be quite nice. You're very good on kitchens. Thank you very much indeed. Now, Sidra, welcome back to Pointless. Last time we had to say goodbye to you in Round Two. I think this time, we will see much, much more of you. Sidra, remind us what you do. I've just qualified as a junior doctor. -And you're about to start in Essex. So you start in a hospital as a hospital doctor. -How long will you be in that hospital in Essex? So, about a year there, and then a year in a different hospital. And how far into that year before they tell you where you go next? I know where I'll be for the one after, and it's also in Essex. That's nice. Good. You don't have to move, or anything. Well, very, very best of luck. -Now, how do you like our flag round? so I'm going to go for Pakistan. of our 100 people said Pakistan. It's correct. Our high score is 13 and our low score is 2. There we go. 35 for Pakistan. Well played, Sidra, there it is on the third row on the far right. It's a lovely green, isn't it? maybe on a summer house. A painted wood, a veranda would be lovely, yeah. Very nice. Thank you very much, Richard. Well, we come to you, Norma. 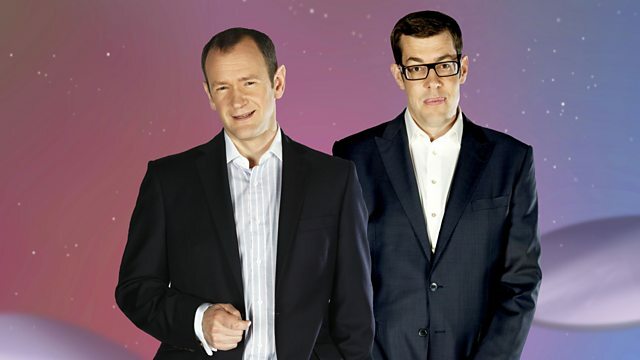 A warm welcome to Pointless. -Here from Abingdon in Yorkshire. What keeps you busy in Abingdon? I work as a children's speech and language therapist. -That must be such a rewarding thing to do. -way to earn a living. very much on a child by child basis? Norma, what do you like doing when you're not working? kitchen and cook, particularly chillies. -I'm very fond of spicy food. -My mouth is now watering. The Republic of Ireland, says Norma. Let's see how many of our 100 people said that. Well, 35 is our high score. Until now. 55 is our high score. Norma. -Yeah, there is Ireland on the second row. that's 300,000 people turning up, amazingly. Held every year. It is a huge agricultural show, as well. -But it's... That is the centrepiece of it. animals on it as well. -Very good, yeah. I think that's good. It is. I am now thinking about it. -Yeah. These are going to get harder, if anything. We are halfway through the round. and take a look at the scores while we're at it. 2 is the best score of the round so far. Very well done indeed, Ed and Andrew. which is where we find Allistair and Richard. So, yes, Norma and Anna, we need a low score from you. right now. Can the second players please step up to the podium? -So, Anna, welcome to Pointless. -Good to have you here. -What do you do, Anna? I'm a maths student at St Andrews University. -Right, what year are you in? -I've just finished second year. St Andrews, that will be two more years, presumably. -If you were going into your last year, that would be sad. -What are you doing up there, apart from your maths? What other things keep you amused? I do quite a lot of cooking up there, like my mum. So cooking quite a big thing in your family, then? Yeah, it is with ours, at least. Yeah, we are the main family chefs, I would say. Very good indeed. Anna, how are you feeling about these flags? I'm going to say the Netherlands. No red line for you as you are the high-scorers. -But let's see how many of our 100 people said the Netherlands. and takes your total up to 155.
but not the same flag, I'm afraid. -Now then, Ghausia. Welcome back. Remind us what you do. About to go on into organic chemistry, we discovered last time. So, I enjoy video editing and graphic design, that sort of thing. Wow, that is quite fun. It's rather niche. As a hobby. But what a great thing to do. So how did you get into that? -Just for events and stuff like that. -specifically, and say, "We want YOU to do this." being appreciated by a wide audience. The good news is you are through to the next round, whatever you score. Takes a little bit of pressure off. No red line, you are already through. Let's see how many of our 100 people said France. It's very right. Look at that. 83. That takes your total up to 118.
pigs, but they eat sausages. -"I'll get in for free." Yeah. "I'm going to head down there, it sounds brilliant. Take the kids. -and realise you've made a pretty bad mistake. -That is not for us. Now, Richard. We come to you, Richard. What do you do? I am a financial adviser based in Cheltenham. Right you are. So you moved down from Edinburgh, did you? I see. And what are your interests, Richard? My main interest is probably music. I am rediscovering vinyl all over again. That sounds... Did you have a vinyl collection earlier, before? I did, but I don't want to talk about it. Oh, no! Your story might be the same as mine. -I got rid of mine. -Is it in a loft somewhere? No! No, I gave it to our builders. that my brother had once used as a plate at a barbecue. groove of that. I had to give it away. you are through to Round Two anyway, it doesn't matter what you score. It does take the pressure off a bit. I'm going to go for Venezuela. Venezuela. Let's see how many of our 100 people said Venezuela. Couldn't matter less. 113 is your total. -No white stripe on the Venezuelan flag. -It has got white stars. White stars, of course, very nice, again, on a child's ceiling. -Yeah, very nice. Very nice. -Against maybe a dark blue. I'm loving the French dark blue. It is nice, that blue, isn't it? Nice. Andrew, welcome to Pointless. Great to have you here. What do you do? and in particular kitchens and bathrooms. -Just been a bit tired. -this, going, "I got an idea!" Seriously, is that really your area of expertise? -Yeah, it really is, I'm afraid, yeah. Now, Andrew, so we're not doing your editing. -Is that what you do? You edit? Is it just one magazine do you have a whole raft of...? I am in charge of two or three magazines. -A small publisher up in Harrow. Did you set it up yourself, or...? No, no, but I am employed there, I've been there about 15 years. -OK, that's... There are worse things to do. in the first pass. Do you want to throw some names out there and...? stripes to me, absolutely useless. I am going to go for Zimbabwe. Zimbabwe, says Andrew. No red line, you are already through. Let's see how many of our 100 people said Zimbabwe. Is it right? It is not right, I'm afraid. No Zimbabwe on that board. Let's take a look at what is on the board, though. there, we have Austria. 23.
would have scored you 11.
next to France we have Gambia. very well done if you said that. They call themselves The Gambia. -they thought people would get confused. Next to Gambia you've got Hungary. Would have scored you 12. Now, on the next row down, Italy. Big scorer - 72 points. I do know that one. Madagascar. Well done if you said that. Next to Madagascar is Nigeria. Would have scored you 16 points. Bottom row, we have Russia. 23. Then Sierra Leone, on 1.
on the bottom right-hand corner, a pointless answer for Yemen. Another country that sometimes likes to say "the". Yeah, they do like that. Yemen. The Ukraine as well. -Yeah, lots of them do. -That's so they don't get confused with cranes. -Lots of roads do it as well. The Goldhawk Road. -What is that all about? I don't know, what is that all about, Andrew? Thank you very much. We are at the end of our first round. -I'm so sorry, Anna and Norma, it is you, but we will see you again next time. to that very much indeed. In the meantime, thanks very much for playing. Norma and Anna. For the remaining three pairs, it's now time for Round Two. And so we're down to three pairs. At the end of this round, we will have to say goodbye to another pair. I have to say, everybody did so well in that round...on the first pass. It got harder, didn't it, as the easier flags were picked up. Can you decide in your pairs who's going to go first. please step up to the podium. OK, let's find out what the question is. Here it comes. ..as they could. Words ending in K-E-T.
& world English section of Oxforddictionarys.com that ends K-E-T.
As always, no proper nouns, no hyphenated words. -I'm giving up predicting yours. Haven't got one right for so long. Andrew, always tough going first on a words round. pick one that's going to get me a good low score. I think gasket. It has earned you a buzz from the audience, which is nice. Let's see how many of our 100 people said gasket. Yeah, a sheet or ring of rubber or other material between two surfaces. Usually in an engine, but lots of other machines. Thank you very much, Richard. Now, Allistair. I've got a couple. It's just which one to go for. I think I am going to go with locket. Let's see how many of our 100 people said locket. Thank you very much, Richard. Now then, Ghausia. I will go for supermarket. That is good. Let's see how many of our 100 people said supermarket. 4 for supermarket. There we go. Yeah, simply where you buy soup. Thank you very much, Richard. We're halfway through the round. Let's take a look at our scores. 4 - the best score of the pass, very well done indeed, Ghausia. That puts you well ahead of everyone. Then we travel up to 12 where we find Andrew and Ed. Then up to 35 where we find Allistair and Richard. the next pass, and see if that is enough to keep you in the game. We are going to come back down the line, now. Can the second players please step up to the podium? OK, Sidra, we are looking for words that end in K-E-T.
OK. I am going to go for casket. Casket. Here is your red line. you are through to the next round. How many of our 100 people said it? -Very well done indeed. 23. Gets you through. -Good answer there. Safely through. -Thank you very much indeed, Richard. but there might be a low-scoring answer in there. -I'm not sure it's coming from me. There's another buzz there. I think that's the buzz of risk as well. We're all weighing up the hyphen possibilities there, aren't we? Hypermarket. Let's find out. No red line for you. Let's see how many of 100 people said it. Is it right? It is right. Supermarket scored 4. Scores 2! Look at that! Very well done indeed. Have you done enough, I wonder, to save yourselves? Yeah, it's a very good answer. Yeah, that's a supermarket that everybody is talking about. You have a target, which is 24. Right. I also had hypermarket but I've got a couple of backups. I will go for junket. Junket, OK. There is your red line. Let's see how many of our 100 people said junket. Very well done. That gets you through, down to 5 for junket. Yeah, it is a pudding but also a free trip. Often given as a gift. Journalists often go on junkets. Do they not? In the interiors world? -with curds and all sorts. -You don't look happy about it. No, I didn't used to be, I'm now thinking it might be rather nice. -How long ago was it? -Well, no, we would have to make it again. -You've got to be very careful. -Have you got an answer? -At last! Thank you very much. 8 points. 8 points for brisket. like everyone at home, he is hungry. -I know he is. So anything that is food-related. There is lots of pointless answers here. I'll go through the low scores before we do that. and for crocket and for pickpocket. And you would have got 1 point four becket and skyrocket. Skyrocket would have been a lovely answer. Let's take a look at some of the pointless ones. Breadbasket - a pointless answer. Downmarket. That is a great answer. -Too much brisket and junket. that would be six packs of crisps in one go, but it is not. Which means the bit where you're not batting. Unpocket. Upmarket. And wastebasket. There's some great answers. which is why lots of these things are pointless answers. Let's take a look at the top three. The ones that most of our 100 people said. not a high score at all, but Richard and Allistair, I'm afraid, it is the highest score. So it is you we bid a fond farewell to. -We will see you again next time. We look forward to it very much. Thanks very much for playing, Richard and Allistair. But for the remaining two players, it is now time for our head-to-head. which currently stands at £3,000. There it is. So we are in the head-to-head. You are now allowed to confirm. The first pair to win two questions will be playing for the jackpot. This is nice. It's a father-son versus sisters head-to-head. Ghausia and Sidra have a bit more Pointless experience behind them. Yes, this could go either way. I wouldn't really want to call it. But best of luck to both pairs. Let's play the head-to-head. to facts about monks and nuns. Can you give us the most pointless answer? Let's reveal our five clues. And here they come. Ed and Andrew, you will go first. do you feel like talking us through the rest of that board? Go on. You go for it. The art historian, no idea. But rather an obvious answer. I don't know, maybe we should just go for Buddhism. -That is going to be pretty low, isn't it? -say the last one, Buddhism. Ed and Andrew said Buckfast Abbey. Let's see if that is right, for the Devon monastery. Let's see how many people said it. Oh, that's a good answer! 18 for Buckfast Abbey. have gone for Buddhism for the last one, the bhikkhu monk. Let's see how many of our 100 people said Buddhism. Oh! 21. 21 for Buddhism. Very good. I knew this was going to be close. -Two terrific answers there, very well done. "Is there any way I can get a photograph?" He looked amazing. She said, "No, they would never... It's just not what they do. "This is work for them," and blah, blah, blah. whispered, and she said, "He just asked if he can have a photo taken with you?" I went, "No, no, I won't..."
"For me, this is what I do. I am tall." Now, you were right about Whoopi Goldberg. You were right to avoid it as well. She would have scored you 68 points. He would have scored you 34. Sister Wendy Beckett. Very well done if you said that. -Thank you very much, Richard. Here comes your second question. Ghausia and Sidra, you have to win this one to stay in the game. But you get to answer it first, so you have a slight advantage here. -I will show you five pictures now of famous Trevors. But who is the least famous of our famous Trevors? There we are. OK, let's reveal our Trevors. There we are. Five famous Trevors. -I don't think we need to. We both know which one we know. talk us through the other Trevors, if you like. Don't know E. I think A is Trevor Nunn, we think. B is Trevor Eve. C, Trevor McDonald. OK. A, Trevor Nunn, say Ed and Andrew. So, we have Trevor McDonald and we have Trevor Nunn. Now, Ghausia and Sidra went for Trevor McDonald, for C.
Let see how many of our 100 people got McDonald. Oh, that is a big score there. 84. Ed and Andrew, meanwhile, have gone for Trevor Nunn, for A. It's right, and it wins you the point, is the crucial one. you are straight through to the final, 2-0. It has been very NUNN-heavy, this head-to-head, hasn't it? Let's fill these in, shall we? He would have scored you 36.
the first hairstylist to get an MBE from the Queen. I like a lemon sorbet. Thank you very much indeed, Richard. I'm afraid it is Ghausia and Sidra. but I'm afraid this is where we say goodbye. Thanks so much for playing. Ghausia and Sidra. But for Ed and Andrew, it's now time for our Pointless final. and you have won our coveted Pointless trophy. and at the end of today's show, the jackpot is standing at £3,000. you come in, first show, low score, low score, low score. The only blot on your copybook was Zimbabwe. I think, tends to finish with a nice jackpot. What would you like to see on the board behind me? -We haven't had any good movie questions yet. OK, yeah. You would be happy with that? Well, very best of luck. Let's hope there is something on the board that you like the look of. Would you like that in tens or fives or what? I would be tempted by Decades of Formula 1. But I think you're going to know more about Quentin Tarantino. Look at it this way, I know zero about Formula 1. -So you would be on your own with that one. -Quentin Tarantino it is, then. OK. Quentin Tarantino it is. films, according to IMDb, all Quentin Tarantino movies. apart from Quentin Tarantino himself. Very, very best of luck. just one of those answers to be pointless. Are you ready? -OK, let's put 60 seconds up on the clock. There they are. Your time starts now. Jackie Brown herself was Pam Grier. So I don't think she would be that well-known. Probably? Bridget Fonda was in it as well. Robert De Niro shoots her. A bit more tricky. Steve Buscemi. I've only seen that once. A bit trickier, that one. -That's once more than I have. Yeah, let's go for Bridget Fonda. And you don't know who any of them are, do you? Well, I've heard of two of them. Well done. Hopefully the one you haven't heard of is a good shout. Do you want to just use the rest of the minute to mull over any others? I can't think of anyone else in Django Unchained. OK. The ball is in your court, yeah. OK. There we are. Your time is now up. Let's have your three answers. -we are going to go Bridget Fonda. -From Reservoir Dogs, we are going to go Tim Roth. three, which is your best shot at a pointless answer? The least likely to be Pointless? -Tim Roth, we'll put him first. Very good. Pam Grier in the middle. OK, well, let's put those answers up on the board in that order, then. and we've got Bridget Fonda. Well, three good answers there. Are they good enough, I wonder, for you to win the jackpot of £3,000? if one of these turns out to be a pointless answer, Ed? so I will give my half straight over to his dad. So I'm laughing either way. Oh, Andrew, how about you? or I might just not tell them and buy myself a big telly. OK, it will be our little secret, Andrew. Yeah. OK, well, very best of luck. Your first answer was Tim Roth. In this case, we were looking for cast members from Reservoir Dogs. If this is pointless, it will win you £3,000. Let's see how many of our 100 people said Tim Roth. you will leave with £3,000. Oh! Not quite into single figures there. 11 for Tim Roth. That is why you put him first, though. We now move into slightly more obscure territory. Your next answer was Pam Grier. Now, in this case, we are looking for Jackie Brown cast members. so let's see how many people said Pam Grier. Your first answer, Tim Roth, took us down to 11.
through the 30s, into the 20s. Down into the teens. We have passed 11, into single figures. 8, there we are. Pam Grier. 8. These are all very good scores, by the way. Very good scores indeed. Just annoyingly, we only accept pointless answers this last round. We move on to your third and final answer, which is Bridget Fonda. Again, we are in Jackie Brown territory. We are looking for any cast member of that film. How many people said Bridget Fonda for Jackie Brown? Is it pointless? Well, it's right. Your first answer, Tim Roth, took us down to 11. Pam Grier they took us down to 8.
still going down. Oh! 2! can I just say? Very good answers, all three of them. And Bridget Fonda, particularly, getting us down to 2. -You can be very proud of that. And you get a Pointless trophy each to take home in recognition. -That's what we came for. -Ed and Andrew, very good indeed. Yeah, a valiant effort there. Well played. Let's take a look at these pointless answers. who is in the Rush Hour films with Jackie Chan. Bridget Fonda and Michael Keaton. Everybody else, a pointless answer. also a crime novelist, was a pointless answer. Kirk Baltz. He plays the kidnapped cop. are pointless answers. Chris Penn would have scored you 1 point. He plays Nice Guy Eddie. And Django Unchained now. Here, Bruce Dern, a pointless answer. Jonah Hill, Don Johnson, Russ Tamblyn. Samuel L Jackson, Kerry Washington, Christophe Waltz and Franco Nero. Everyone else a pointless answer. -Very well done if you got one at home. -And it's goodbye from me. Goodbye.